Whether a sports professional or an amateur, if you are injured through sport, the Nuffield Health Leeds Hospital Sports Medicine and Injury Clinic provides you with the specialised care and treatment to help get you back to the sport you love, pain-free and quickly. 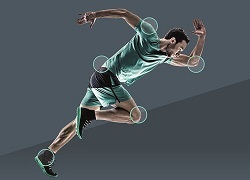 Why choose Nuffield Health for your sports injury treatment? When you are serious about your sport, an expert in sports medicine looks further than just the injury. We understand your passion and drive to get back to beating those Personal Bests. We are here to help you do just that, quickly and efficiently. Our sports injury teams’ expertise stems from the professional world of sport, including Leeds Rhinos, Leeds United and British Triathlon: giving you the best chance of recovery and rehabilitation. He has previously worked for Tonga as their doctor during the 2013 Rugby League World Cup and has was the Immediate Care Doctor at the 2015 Rugby Union World Cup and 2016 Rugby Union Junior World Cup. 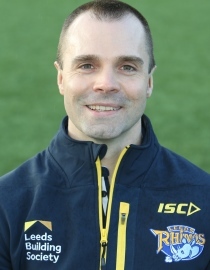 Anthony has over 11 years' physiotherapy experience gained in the NHS and in private settings and has been the Senior Physiotherapist at Leeds United Football Club. 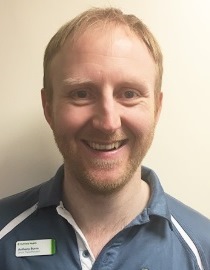 As well as a first class honours degree in Physiotherapy, Anthony has extensive experience working in lower limb rehabilitation and also has a special interest in treating post-operative shoulder conditions. Dan started working at Nuffield Health in 2014. 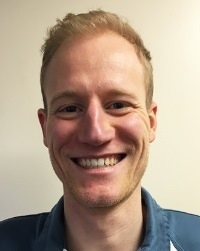 When he is not busy being a physiotherapist at Nuffield Health Leeds Hospital, Dan is a competitive middle and long distance runner in his spare time and has trained with British Triathlon. Dan uses his understanding of human movement and his own training experiences to help optimise his patient’s daily function and athletic performance. During your appointment you will meet both Dr Jones and one of the senior physiotherapists: receiving a dual assessment to ensure a true multi-disciplinary clinical picture on your condition. When are the clinics at the Leeds Sports Medicine and Injury Clinic? Friday: 13:00 – 17:00. New appointments are typically 40 minutes long. If you are paying for treatment yourself please have a credit/debit card to hand to secure the booking (no payment will be made until your actual appointment). If you are using your private medical insurance contact your insurer first and they'll advise the next steps. The Sports Medicine and Injury Clinic is at Nuffield Health Leeds Hospital, which is just a four-minute walk from Millennium Square, Leeds. There is secure, manned car parking available on site for private patients.